This chapter describes the procedures necessary to create generative models of the spatial organization of cells directly from microscope images and use them to automatically provide geometries for spatial simulations of cell processes and behaviors. Such models capture the statistical variation in the overall cell architecture as well as the number, shape, size, and spatial distribution of organelles and other structures. 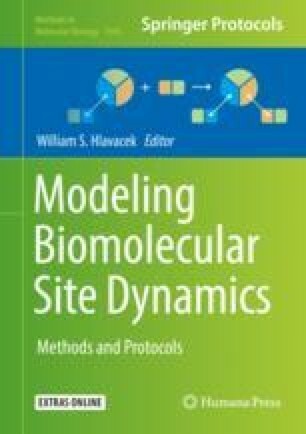 The different steps described include preparing images, learning models, evaluating model quality, creating sampled cell geometries by various methods, and combining those geometries with biochemical model specifications to enable simulations. The original research upon which these protocols are based was supported in part by National Institutes of Health grants R01 GM090033 and P41 GM103712.